The Real Madrid icon’s newest CR7 series boots are back and the latest instalment are called ‘Chapter 5: Cut To Brilliance’. They pay homage to his records of becoming the fastest player to score 50, 100, 150, 200 and 250 La Liga goals. The design inspiration? Well it’s goals, goals, and more goals. Nike have also included the date of Ronaldo’s Real debut with the words “El Sueno Del Nino” which translates to ‘the dream of the child; that is how the Portuguese forward described the feeling of joining the Madrid giants in 2009. 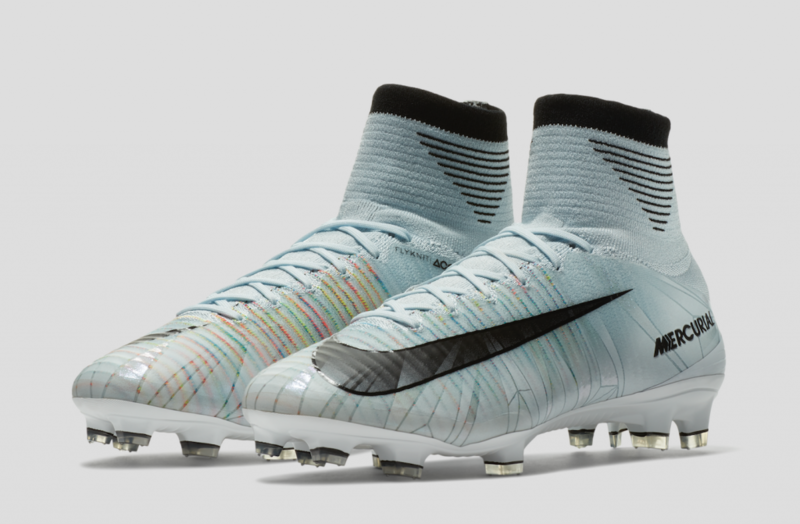 Ronaldo added; “The details of the white boots – the colour, the diamonds – they are beautiful. “I am sure, 100 percent, people are going to like it”. You can expect the Portuguese superstar to be wearing his new wheels in time for Real Madrid’s upcoming Champions League games against Borussia Dortmund and Tottenham Hotspur. The new ‘Chapter 5: Cut to Brilliance’ boots arecavailable now online and in-store.